Essential nutrients are those that cannot be created by an animal’s metabolism and need to be obtained from the diet. The animal diet needs to be well-balanced in order to ensure that all necessary vitamins and minerals are being obtained. Vitamins are important for maintaining bodily health, making bones strong, and seeing in the dark. Water-soluble vitamins are not stored by the body and need to be consumed more regularly than fat-soluble vitamins, which build up within body tissues. Essential fatty acids need to be consumed through the diet and are important building blocks of cell membranes. Nine of the 20 amino acids cannot be synthesized by the body and need to be obtained from the diet. What are the fundamental requirements of the animal diet? The animal diet should be well balanced and provide nutrients required for bodily function along with the minerals and vitamins required for maintaining structure and regulation necessary for good health and reproductive capability. A balanced diet: For humans, a balanced diet includes fruits, vegetables, grains, and protein. 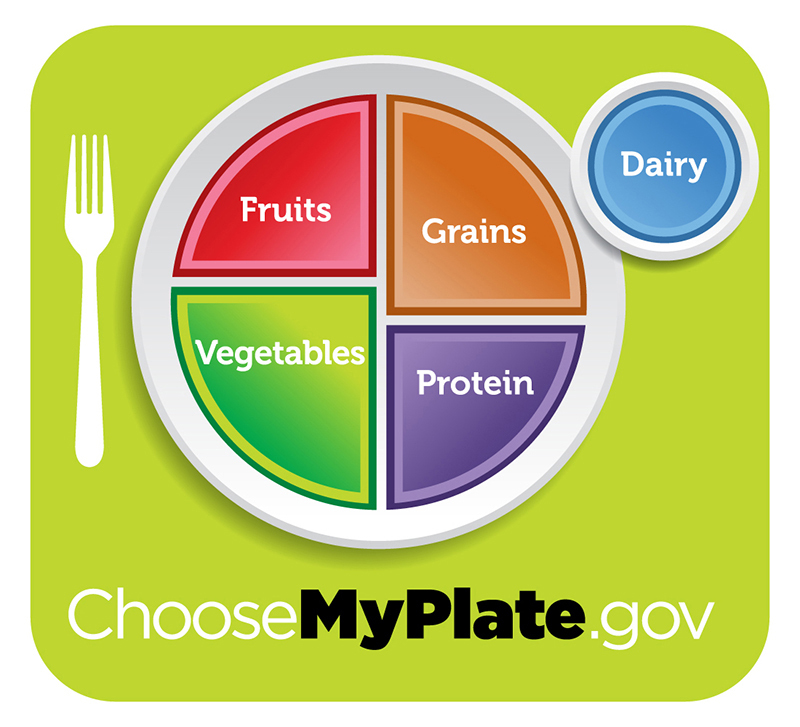 Each of these food sources provides different nutrients the body cannot make for itself. These include vitamins, omega 3 fatty acids, and some amino acids. The organic molecules required for building cellular material and tissues must come from food. Carbohydrates or sugars are the primary source of organic carbons in the animal body. During digestion, digestible carbohydrates are ultimately broken down into glucose and used to provide energy through metabolic pathways. The excess sugars in the body are converted into glycogen and stored in the liver and muscles for later use. Glycogen stores are used to fuel prolonged exertions, such as long-distance running, and to provide energy during food shortage. Excess digestible carbohydrates are stored by mammals in order to survive famine and aid in mobility. Another important requirement is that of nitrogen. Protein catabolism provides a source of organic nitrogen. Amino acids are the building blocks of proteins and protein breakdown provides amino acids that are used for cellular function. The carbon and nitrogen derived from these become the building block for nucleotides, nucleic acids, proteins, cells, and tissues. Excess nitrogen must be excreted, as it is toxic. Fats add flavor to food and promote a sense of satiety or fullness. Fatty foods are also significant sources of energy because one gram of fat contains nine calories. Fats are required in the diet to aid the absorption of fat-soluble vitamins and the production of fat-soluble hormones. While the animal body can synthesize many of the molecules required for function from the organic precursors, there are some nutrients that need to be consumed from food. These nutrients are termed essential nutrients: they must be eaten as the body cannot produce them. Vitamins and minerals are substances found in the food we eat. Your body needs them to be able to work properly and for growth and development. Each vitamin has its own special role to play. For example, vitamin D (added to whole milk or naturally-occurring in sardines), helps make bones strong, while vitamin A (found in carrots) helps with night vision. Vitamins fall into two categories: fat soluble and water soluble. The fat-soluble vitamins dissolve in fat and can be stored in your body, whereas the water-soluble vitamins need to dissolve in water before your body can absorb them; therefore, the body cannot store them. Fat-soluble vitamins are found primarily in foods that contain fat and oil, such as animal fats, vegetable oils, dairy foods, liver, and fatty fish. Your body needs these vitamins every day to enable it to work properly. However, you do not need to eat foods containing these every day. If your body does not need these vitamins immediately, they will be stored in the liver and fat tissues for future use. This means that stores can build up; if you have more than you need, fat soluble vitamins can become harmful. Some fat-soluble vitamins include vitamin A, vitamin K, vitamin D, and vitamin E. Unlike the other fat-soluble vitamins, vitamin D is difficult to obtain in adequate quantities in a normal diet; therefore, supplementation may be necessary. Water-soluble vitamins are not stored in the body; therefore, you need to have them more frequently. If you have more then you need, the body rids itself of the extra vitamins during urination. Because the body does not store these vitamins, they are generally not harmful. Water-soluble vitamins are found in foods that include fruits, vegetables, and grains. Unlike fat-soluble vitamins, they can be destroyed by heat. This means that sometimes these vitamins can often be lost during cooking. This is why it is better to steam or grill these foods rather then boil them. Some water-soluble vitamins include vitamin B6, vitamin B12, vitamin C, biotin, folic acid, niacin, and riboflavin. The omega-3 alpha-linolenic acid and the omega-6 linoleic acid are essential fatty acids needed to synthesize some membrane phospholipids. Many people take supplements to ensure they are obtaining all the essential fatty acids they need. Sea buckthorn contains many of these fatty acids and is also high in vitamins. Sea buckthorn can be used to treat acne and promote weight loss and wound healing. Sea buckthorn seed oil: Sea buckthorn seed oil contains many vital nutrients. Minerals are inorganic essential nutrients that must also be obtained from food. Among their many functions, minerals help in cell structure and regulation; they are also considered co-factors. In addition to vitamins and minerals, certain amino acids must also be procured from food and cannot be synthesized by the body. These amino acids are the “essential” amino acids. The human body can synthesize only 11 of the 20 required amino acids. The rest must be obtained from food. 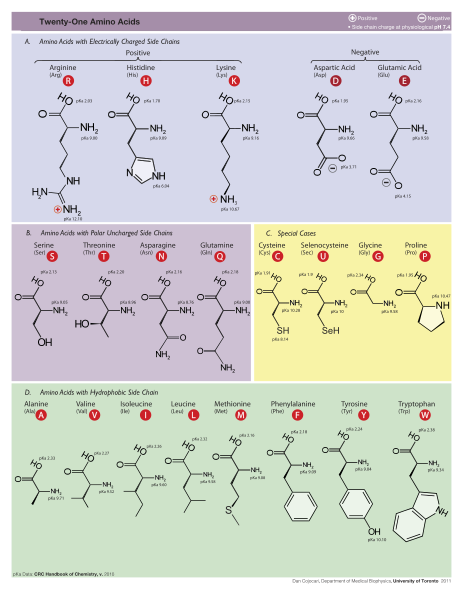 Amino Acids: There are 20 known amino acids. Animals can make only 11, so the others must be obtained through the diet. Meats are the best source of amino acids, although some amino acids can also be obtained from vegetables and grains. Animals use energy for metabolism, obtaining that energy from the breakdown of food through the process of cellular respiration.